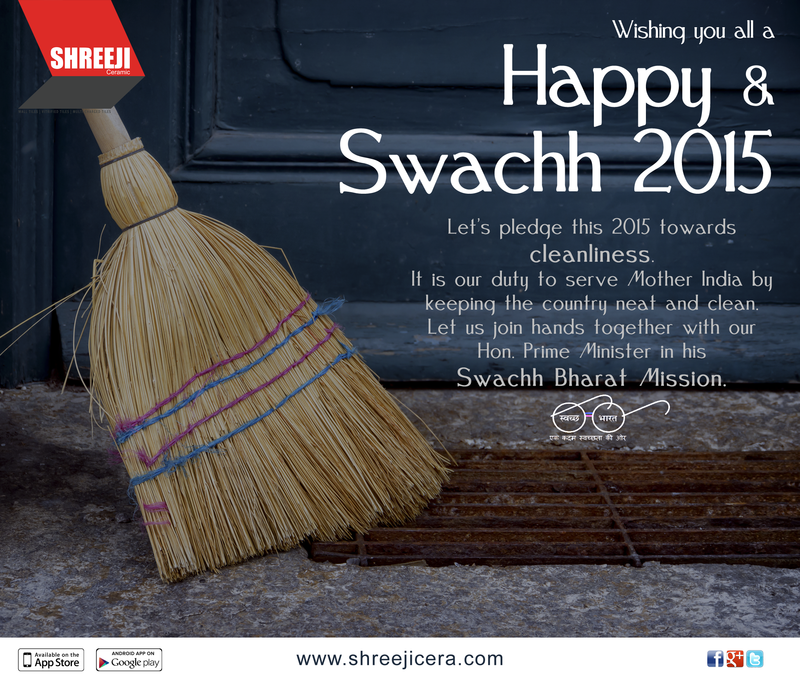 Wishing you all a Happy & Swachh 2015. Let’s pledge this 2015 towards cleanliness. It is our duty to serve Mother India by keeping the country neat and clean. Let us join hands together with our Hon. Prime Minister Narendra Modi in his Swachh Bharat Mission. “As a citizen of India, I commit that I will not throw any garbage/waste on road, street but throw only in dustbin or location provided for same. Next Next post: WHY WE MAKE TILES IN INDIA?